The Bowling Green Fire Department Honor Guard was officially formed in 1998 by Deputy Chief (Retired) Walter Jordan and, at the time, was composed of a handful of Captains, Sergeants and suppression Firefighters. The purpose then was to have a specially trained group of Bowling Green firefighters that could perform honorary funeral functions for retirees who passed away. Today, the honor guard consists of twenty active members, still ranking from Firefighter to Captain, whose common goal is to honor the Flag, the Fallen and their families. 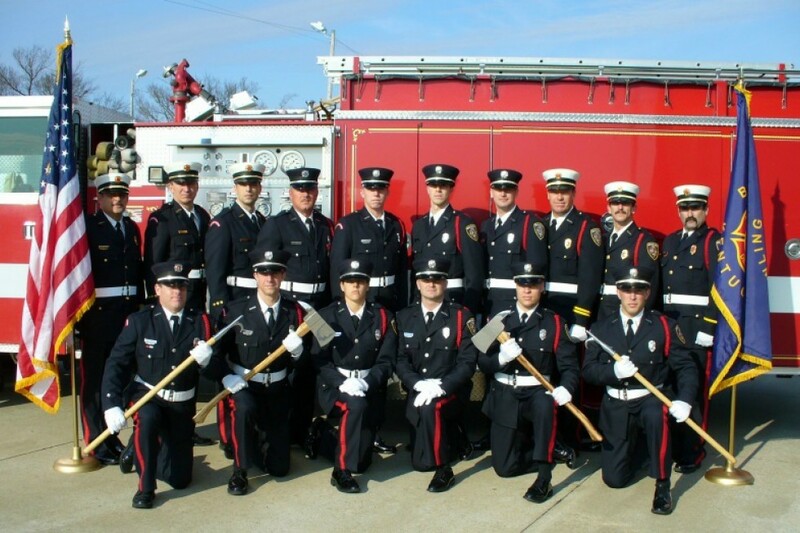 The BGFD Honor Guard constantly strives to maintain the highest level of discipline, appearance and training. It is our mission to honor and remember those who have gone before us. Like honor guards in other communities and around the world, our dedication to pay tribute to our fallen brothers and sisters, whatever the capacity, is foremost in our minds. After all, the BEST we can do is the LEAST we can do. We are available, upon request, for funeral details, dedication ceremonies, parades and other special events for which formal honors and respect is appropriate. Please email Robby Gilliam, Brad Akins, or call (270) 393-3702 for further information regarding the BGFD's Honor Guard program.